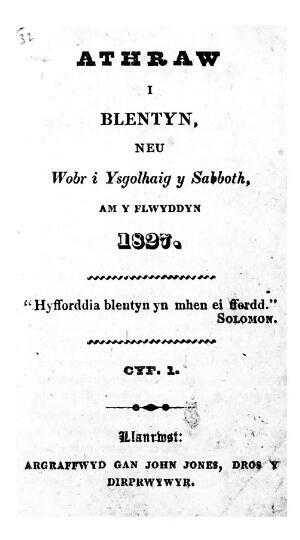 A monthly Welsh language religious periodical that was intended for the Sunday school children of the Baptist denomination. The periodical was edited by John Prichard (1796-1875). Associated titles: Y Tyst Apostolaidd (January 1851 issue); Yr Athraw (1853-1865).